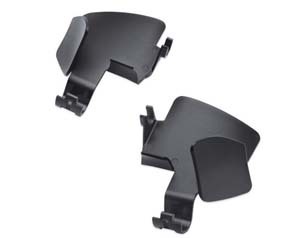 WD-UC: Stops up to 90% of wind that comes through area between Ultra Lowers and Batwing fairing or Windshield that causes helmet buffeting & mic noise. Easy 5 minute installation. 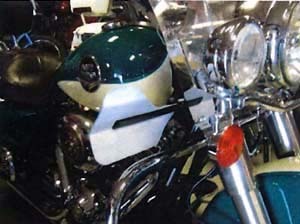 Simply remove & install 1 Bolt on each side & adjust eccentric stop. 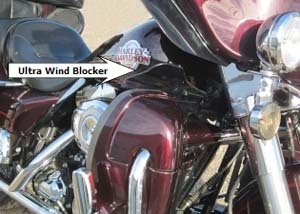 For hot weather simply turn wind deflector to open position to allow air to come through. 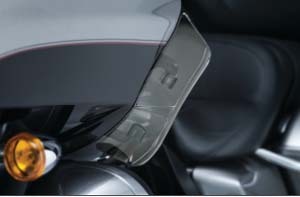 If You have a dark color bike the WD-UC is almost unnoticeable as it blends in with the Harley® Adjustable Fairing Deflectors. 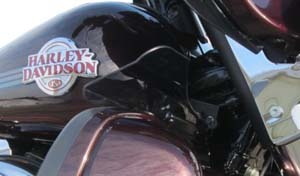 Fits Ultra Classic, Electra Glide and TriGlide trike model years 2008 to current or MY '07 and earlier. Deflectors are scratch resistant. 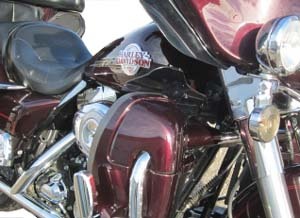 WD-SG: Similar to above but for the Street Glide. Also available in Dark Tint or Clear. 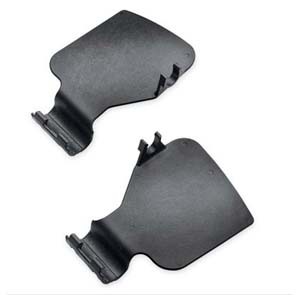 Work great with engine guard covers. 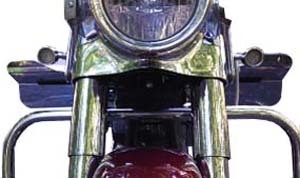 WD-RK: Similar to above but for the Road King. 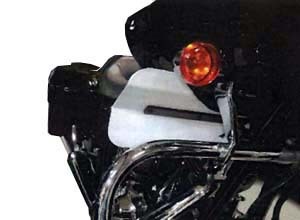 WD-RG: Similar to above but for the Road Glide. 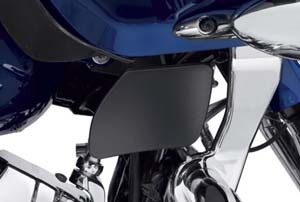 Does not fit Road Glide equipped with fairing lowers. Also work with our WD-44. 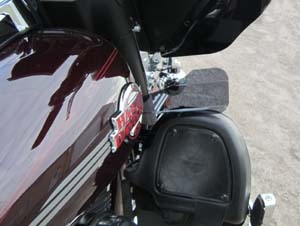 Testimonial: "Sent from my iPhone just letting you know the wind deflectors for my road glide showed up (WD-RG). I've installed them and the work well. Can now hear the stereo at hiway speeds and the air turbulence is gone." Note: White defectors shown in photos are for display purposed only. Deflectors are available in Dart Tint or Clear only. WD-44: Adjustable spring-loaded deflectors are easy to operate, locking securely in four positions to direct airflow just how you want it. Made of durable, shatterproof polycarbonate with stylish dark smoke tint and satin black mounting brackets. Fits: '15 to current Road Glide Models. Also works with our WD-RG. 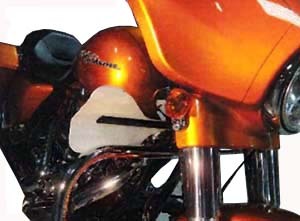 Testamonial: Hi, I received the new adjustable fsiring wings for the 2014+ Road Glide. I wanted to let you know that they work incredibly well. Would recommend them to any looking for a better way to control the wind flow around the rider. 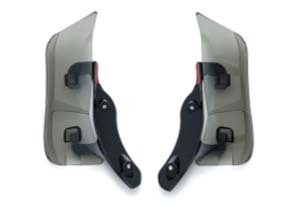 Stew K.
WD-57: These snap-fit Wind Deflectors reduce and redirect the air flow that rises between the fairing and fork tubes. Fits 2015+ Road Glides. 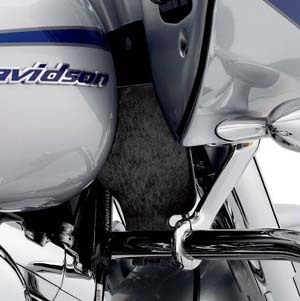 WD-63: Easy-to-install, these snap-fit Wind Deflectors reduce and redirect the air flow that rises between the fairing and fork tubes. The resulting reduction in updraft can dramatically reduce buffeting for many riders. 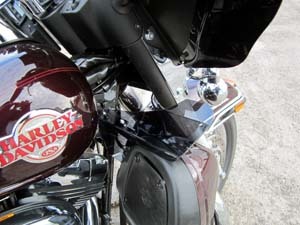 Stock on '11 CVO™ Road Glide®.